arrangement plans and varied item choices. 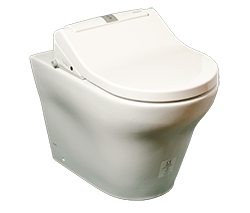 Electric bidet toilet seats get their power by plugging into a standard electrical outlet. 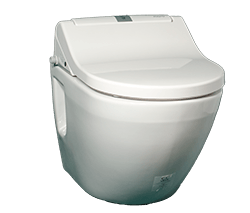 These are remote controlled toilets with a lot of functions that will upgrade your bathroom experience. Hover over the drops to see more informations. 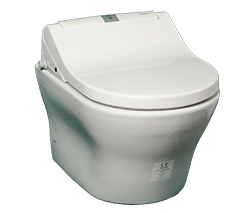 Non electric bidet toilet seats do not use an outlet and are instead powered only by water pressure which makes them environmentally friendly. Just like electric models, they are easy to install and use. that delivers a spray of water to assist in cleansing the user's intimate parts after defecation and urination. 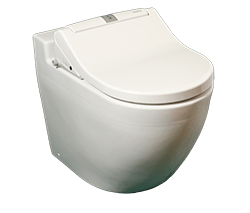 Maro D'Italia is the first Italian brand manufacturing Aqualets - toilet with a bidet function. A technological innovation which is gaining rapid success all over the world. 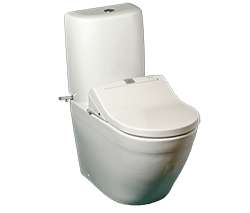 Maro D'Italia represents a highly functional as well as visually impressive range of shower toilets, striving for a new level of toilet hygiene. In a world of ever-changing fashions Maro D'Italia has, for over one hundred years, remained reassuringly constant, offering the lasting values of design, quality and craftsmanship that rise above passing trends. In an Italian town that is the heart of the history of Italian sanitary-ware production, where pottery has been made for thousands of years, each individual piece is manufactured using high-quality materials, by local craftsmen whose families have been learning and practicing their skills over many generations. Maro D'Italia - Where comfort meets elegance.